Often entrepreneurs confuse innovation with differentiation. We often get plans where the entrepreneurs think of their innovation as ‘something more or different’ that they are doing which others are not. That to my mind is not innovation. In my view, innovation is when you either create something new (a product or service) or do something that that makes an existing product, service or process faster and/or better and/or cheaper. Also, innovation is understood or at least widely perceived to be only about a product or service. 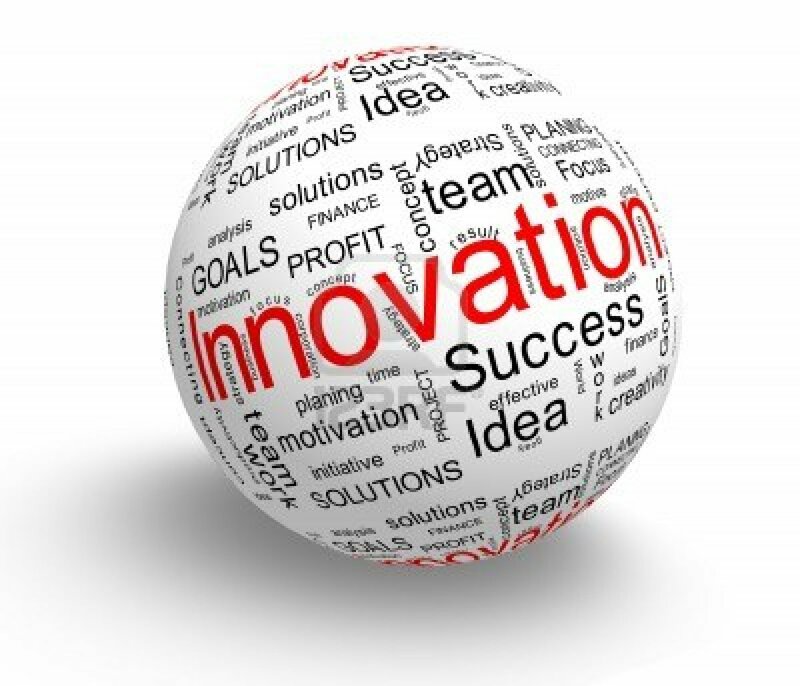 But, innovation can be in any aspect of the business. It could be innovation in pricing, packaging, business model, marketing, positioning, resource utilization, etc. EMI or Equated Monthly Installments is a pricing innovation that made high-ticket items accessible to many who could not afford to pay the price upfront. Software companies like TCS offering enterprise class software to small & medium enterprises wherein they pay a small fee every month instead of a one-time payment for the software – a business model innovation. The packaging that Paper Boat uses in India for their non-alcoholic beverages is a packaging innovation… it stands out in the category. An online platform for art, provides art and art prints on a subscription model… which allows people to have many different art pieces at their homes without owning any… that is a business model innovation. At one of the largest smart card and chip makers in India, they use a quick manual intervention to put a colour tag as per groups over 100,000+ hand-filled forms that they get everyday from their telecom customers for whom they manufacture SIM cards. Their competitors use sophisticated and expensive software which slows the process and is practically useless for dealing with the scale and speed in which they have to operate. This is a process innovation. Innovation is not a one-time activity… it is not a quest for that ONE thing. It is a process, a way of approaching things that should be a part of the DNA of a company. While most organization can be good at process or business model innovation, it is much harder to create or invent something new. And that’s why we need to encourage and reinforce a mindset of innovation with a clean slate as a starting point, rather than looking at how you can make improvements over something that is already existing. 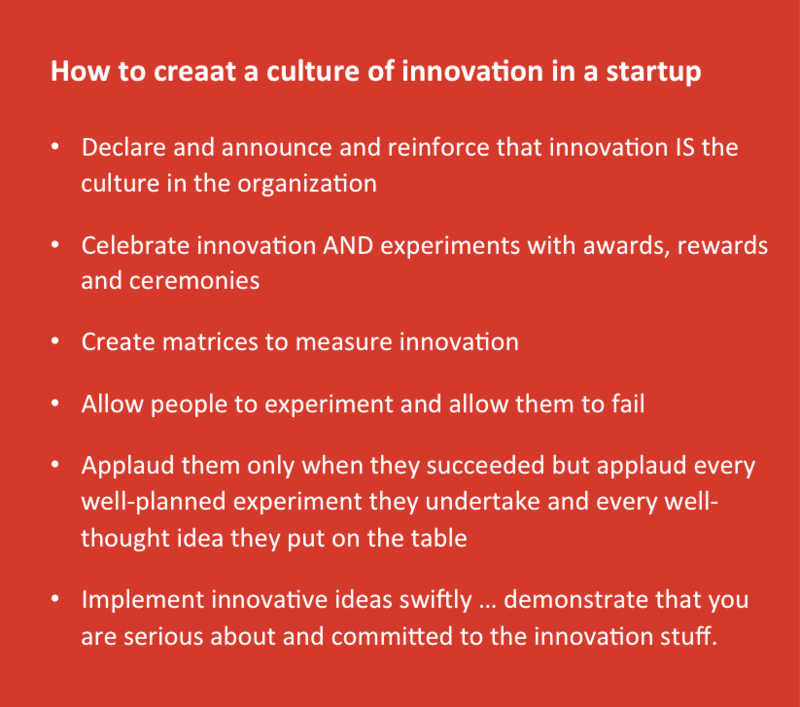 How then, does one create an atmosphere of innovation in the organization? Once you have figured out an innovative concept/product etc, implement it… demonstrate that you are serious about and committed to the concept. Why is innovation important for startups? Innovation is especially important for startups. New concepts – products and services – help establish a unique value proposition. It creates intrigue and induces trials. Innovation often reduces the cost of delivering the product or service that it gives the company a pricing advantage, which allows it to target bigger markets, which in turn allow it to get more investor interest and sometimes better valuation. Good, well-thought through innovation almost always makes it easier for the company to get funded… because it increases the chances of success of the product or service. 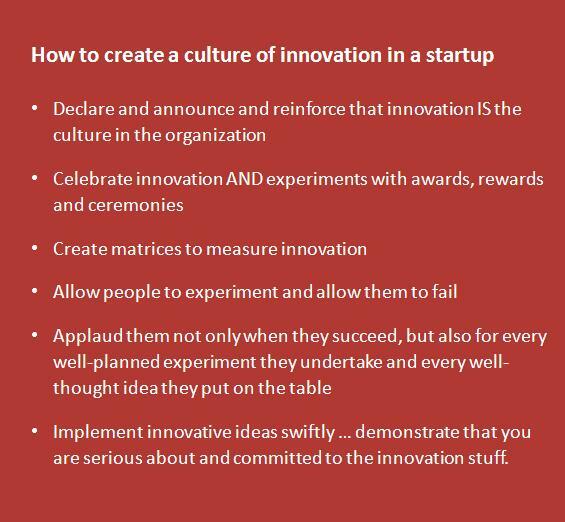 A culture of innovation also helps startups attract quality talent. Because people love places where they have the freedom to experiment. And lastly, innovating is fun. It gets energy into the team. And often the process of ideating throws up new interesting possibilities. Previous Previous post: How do you do team appraisals in a startup?